Whether you’re taking the entire family to Orlando for an unforgettable Disney experience or just escaping to a cabin in the mountains for a romantic getaway, you want to leave work life and stress behind. By doing so, you can relax to the fullest extent of the word. By doing just a little bit of prep before you leave, you can avoid the little scramblings—missed turns, getting lost, forgetting your toothpaste or bathing suit, missing a luau because you didn’t check ahead to see that they only go on Saturdays and not Sundays—that add up to precious lost time. Here’s how to stay organized on vacation. When it comes to staying organized on vacation, nothing works as good as a checklist. Whether you use an old-fashioned pen and paper or a smartphone checklist app like Evernote or todoist, you’ll never get to the beach without your snorkel again. To make your checklist brainstorming even simpler, browse travelchecklist.com for the perfect template. Another important piece of the packing smart pie is to choose the right luggage. Will you be moving around a lot, whether changing places you stay or walking around a lot during the day? Ditch the heavy suitcase or roller luggage for a suitcase-backpack combination instead, like this one. You’ll have the organization and structure of a standard suitcase with the mobility of a backpack. There’s nothing like staring at a mess of clothes deciding on what you should wear, too many choices, to slow down a good time. 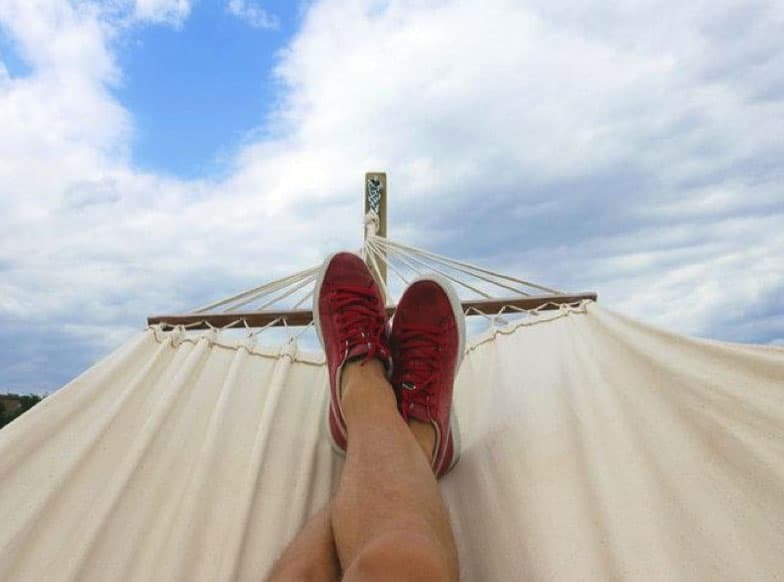 It might seem easy to throw everything in “just in case” but you’ll be weighing yourself down (literally), increasing your bag fees, and giving yourself too many choices—and on vacation, you need to fully appreciate every single moment you get to relax! Stay organized on vacation and plan out your outfits beforehand so that you know what you’ll feel comfortable in, what goes or looks good together, and what will be the most sensible depending on the weather/circumstances of your trip. Pack layers, so that you can always be prepared, and base it on the capsule wardrobe. Keep your shoes to 2 pairs max if possible. You can always use a washing machine if need be. We know, and we get it—you’ve got enough spreadsheets to update every day at work, right? But this is one that’s sure to put a smile on your face—it’s full of all the adventures you’ll be having, after all! Use this itinerary template to map out where you’ll be going and when, as well as any important extra details like transportation, cost, etc. If you’re like us, you can never seem to find that darn phone charger cord. Make sure you never run out of juice on your phone for pictures on the go. While you’re at it, make sure you’ve got all necessary backups, batteries, and portable devices (especially portable phone chargers) like these. This will certainly help stay organized on vacation. ORLANDO TOURIST TIP: If visiting any of the Orlando theme parks, be sure to download their app to your smartphone. This will help make your day at the attractions much more enjoyable. Some apps can help schedule your ride-times, help locate where you are in the park, find restrooms and more! By doing a bit of research beforehand, you’ll maximize your free time in paradise and have your best vacation yet. About Our Guest Author: Taylor McKinney is a Marketing Associate at TrustRadius, a trusted website for B2B software reviews. When she is not writing small business trends she is enjoying Austin’s culture with her husband and two kids. Vacationing with your dog in Orlando may be easier than you think. Orlando has 20 different dog-friendly activities, including doggy bakeries, dog parks that are better than any human playground, and even a variety of hotels and home rentals that accommodate dogs. 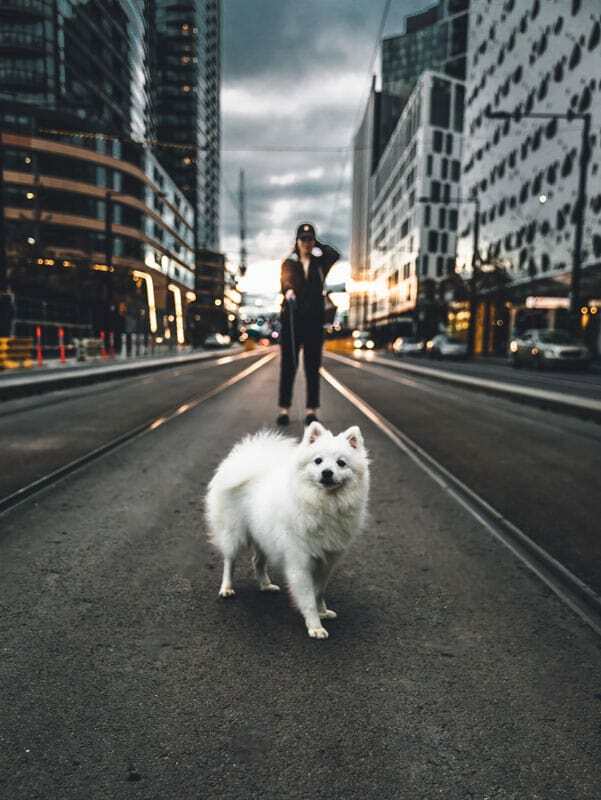 You might think that this city is all about amusement parks, but it could be the perfect place to take your dog instead of your kids. But by the time you end up in a wine bar with your dog for “yappy hour,” you will want to come to Orlando with your dog every year. Vacationing is all about treating yourself, so after getting some treats of your own, head to Woofgang bakery for your furry friend. If you have a car, make sure to take a 45-minute drive to the free Yappy hour at the Wine Den in Mount Dora. Vacationing with your dog in Orlando also offers tons of options for a date night with the dog. ORLANDO TOURIST TIP: If your dog ends up eating something that he or she is allergic to, it’s important to bring along some antihistamines in a small backpack, along with a cold compress in case your dog gets a minor injury, and bandages for cuts and scrapes. If Orlando’s dog parks don’t outnumber the human ones, they do certainly outdo them. Constitution Green dog park, for instance, is planning to add a dog-wash. There are also several dog-friendly beaches near Orlando where you can tire your pup out with a few rounds of frisbee. Going outside and exploring new places is not only a good way to meet new playmates, it is also important so that heavier dogs can shed some weight. Especially if you are going to treat them at the dog bakery beforehand. Go to an Amusement Park? Dinosaur Park may not be the amusement park you think of when you’re headed to Orlando, but it is just as entertaining and free for dogs. Even if vacationing with your dog in Orlando has Disney in the plans, there are kennels where attendants walk, cuddle, and even give ice cream breaks to your dog. If your dog needs medication, an attendant will take care of that for a $2 fee. Going on vacation should be fun, even though you have the added responsibility of a dog. As long as you plan ahead and take your dog to places that can accommodate pets, and even make your dog’s vacation a blast, everything should be fine. There is no reason to leave your dog behind. Vacation with your dog the next time that you go to Orlando. Universal Orlando has plenty of thrills to enjoy. But with all that excitement, it can be tricky to know where to begin. 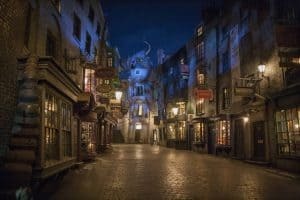 In this guide, we’ve provided some Orlando Tourist Tips (insider tips) including the best tips to experience Universal in all its glory. To get the most out of your trip, you’re going to want to arrive at the park super early and leave as late as possible (depending on how tired you are). Aim to arrive at Universal prior to park hours because some guests are allowed in before it opens. Then you’ll have early access to the rides. This is a great way to beat the crowds and makes a lot of sense if you’re only in Orlando for a short amount of time. Take a break when the park is at its peak between mid-morning and early afternoon with a quick food stop or a trip to CityWalk. Then continue with the excitement later that afternoon. Crowds tend to die down around 4pm, with shorter lines for most rides. When you’re at a theme park, the last thing you want is big crowds and long lines. Certain times of the year see smaller crowds at Universal. These include the entire month of September (when kids are back at school), early December (before the main festive week kicks off), January to early February, and even early November. Top Villas created this handy guide for more information on the best times to visit. The Wizarding World of Harry Potter tends to be packed in the morning so one of our best tips to experience Universal is to go in the afternoon and try to see other areas of the park beforehand. As the crowds die down, you’ll get the chance to enjoy shorter lines – and get better photos than everyone else. The Orlando heat (depending on what time of year it is) also tends to sink a little in the afternoon. Another benefit, if you’d like to shop at the Diagon Alley gift shops, is that afternoon lines tend to be much shorter than during the morning rush. Visiting theme parks can be super exciting and yet very tiring, especially for little ones. 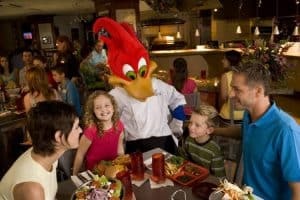 Taking regular breaks throughout the day is key, whether it’s grabbing a snack, watching a show such as the ‘Horror Makeup Show’, relaxing on Sneetch Beach at Seuss Landing, or having a picnic in Universal’s Central Park. If you’re traveling with kids, sometimes the younger ones aren’t able to go on rides suited for older guests. And, if both parents want to have a turn on a ride, it can make things extra tricky. However, with the ‘child swap’ service at Universal, things can be a little bit easier. It works like this: one parent looks after the kids in the family room, while the other enjoys the ride. Later on, they can switch. This saves everyone from lining up again and give both parents the chance to enjoy the rides. Instead of the second parent riding alone, this service actually allows the rider to take another rider with them, which means someone else in your party can ride again! 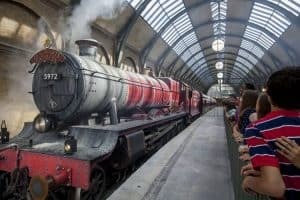 Can you really say you’ve been to the Wizarding World of Harry Potter without riding the Hogwarts Express? The train takes you between the two parks at Universal, working as both a convenient time-saver and a magical experience for the entire family. Ensure you’ve bought a park-to-park ticket before hopping on the express. You can save a lot of time if you don’t mind going on the rides alone. On certain rides, they offer ‘single rider lines.’ The idea is that when the ride isn’t filled up and there are only single seats remaining, those in the single riders line can help to fill in the gaps. This option saves a lot of time and if you want to repeat an attraction, it’s a convenient idea. You have to be 10 years or older to use this line. At Diagon Alley in the Wizarding World of Harry Potter, you need to stop by Gringott’s Money Exchange. Here you exchange ‘muggle money’ (otherwise known as US dollars) for Gringott Bank Notes, which can be spent throughout the Universal Orlando Parks. They offer $10 or $20 options. Universal is full of secrets but what many guests don’t know is about their secret menus. ORLANDO TOURIST TIP: At the Three Broomsticks and Hog’s Head Pub in Wizarding World of Harry Potter, when you’re ordering the classic Butter Beer, don’t forget to ask for Pumpkin Fizz. This item isn’t on the actual menu and is a secret drink they serve. The exciting entertainment complex called CityWalk offers guests a range of dining opportunities, live entertainment, nightclubs, and shops. If you’d like a break from the main theme parks, take yourself down there. CityWalk is completely free to enter whether you have a theme park ticket or not. You can spend the day shopping or stop off for dinner (there’s loads of great food). When on vacation with children (or maybe even adults), everyone is bound to want a sweet treat to keep them going. The Lad Lard pink donut sold at the Simpsons area is massive and costs just $5! You can split the donut between a few people and save a bit of money rather than each getting separate desserts. Talk about sweet & best tips to experience Universal! If you’re spending an entire day at the parks and have stocked up with food (plus jackets for when it gets cooler in the day), the last thing you’ll want to do is carry a heavy bag with you. At both Universal Studios and Islands of Adventure (inside and outside of each park entrance), there are lockers which can be rented for a whole day at around the $10 mark. You can open and close them as much as you need throughout the day without extra charge. Volcano Bay has some of the best water slides in Orlando. On the day you go, we’d recommend getting there as early as possible. For one, you can get on the rides quicker and also claim a prime spot on the ‘beach’, to relax throughout the day. VIP tours can be pricey. If your budget is a little bit higher, they are one of the best tips to experience Universal that are completely worth it. With these tours, you’re given first priority on all of the rides. You also have the chance to enjoy the same ride multiple times, which usually wouldn’t be possible at peak times. VIPs are also allowed access to certain park areas most are not, such as the Men in Black Headquarters. In all Universal parks, including Volcano Bay, there are nursing facilities in the First Aid Stations at Family Services. These can be found to the right of lost and found in Universal Studios Florida, at the First Aid Station in Universal’s Volcano Bay and on Canal Street in the New York area of Universal’s Islands of Adventure at its First Aid Station. During normal breakfast, lunch and dinner hours, restaurants tend to be a lot busier than during off-peak times. If you can, aim to go later in the morning for breakfast, between 2-5pm for lunch, and even later in the evening for dinner. Even though it is possible to squeeze both parks into one day, you won’t get to experience all the best bits if you’re rushing around. Therefore one of the best tips to experience Universal is to allow yourself 3 days. That way you can have a day each at the 2 main parks, Universal Studios and Universal’s Islands of Adventure, plus a third day visiting Volcano Bay and having a look around CityWalk. You can also save a lot of hassle by renting a villa near Universal. There’s plenty of things you need to remember for a day at the parks, so to make it that little bit easier you can download Universal’s app. It helps navigate you around both parks, informs you of attraction wait times, parade show times, and character meet and greets. This’ll save you a lot of time. On some days of the month, Universal Studios is open an hour or two later than Islands of Adventure. If you’ve bought a park-to-park ticket, when Islands of Adventure closes, head on over to Universal Studios instead of going home. You can experience the magic of Diagon Alley, meet the Minions or enjoy ET’s adventure. This is definitely one of the best tips to experience Universal. If you arrive at Universal after 6pm, there’s free parking for all guests. Looking for a villa near Universal Orlando? Top Villas offers a range of villas near Disney and Universal Studios. Boss Orders ‘hit’ 25 Years in the Making! KISSIMMEE, FL, June 1 – It isn’t every day that you can say a hit has been in the making for 25 years, but that is exactly the case at Capone’s Dinner & Show. It’s as if the boss ordered the ‘hit’ long ago, and the cast has perfected the best-of-the-best over the years to carry out the order. Plenty of experience, as well as “25 Years of Memories” is now packed into an all-new show. You’ll feel as if you’ve gone back in time to the prohibition era of gangland Chicago. 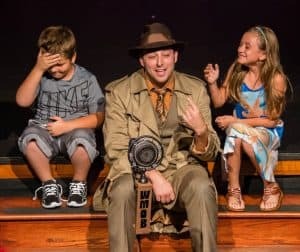 When in fact, you’ve entered into a speakeasy dinner theatre located near Orlando’s attractions and theme parks. Capone’s dinner theatre opened in 1992. Since then the show has been modified several times. With each evolution, the crowd’s response has been evaluated. Using guest feedback is one of the best justifications for many of the elements in the new show. “We feel this is our best show ever,” states John Kucik, owner of Capone’s Dinner & Show. “It’s faster paced, has more guest interaction than ever before, and is more complex in movement.” Each segment, song and dance selection hits high marks in this entertaining cabaret. The anniversary celebration, “25 Years of Memories,” has been a great pretext for reviving years worth of fan favorites. The new show is written by Dustin Fisher, who is no stranger to Capone’s. In years past, he has written scores, acted and directed at the ‘joint.’ He has also been involved with numerous productions at Universal Studios, Disney, SeaWorld and Royal Caribbean Cruiseline. The choreography for the new show is Kyle Kahn’s creation. He has choreographed for BET, MGM Grand, Cirque De Magic and many others. Together they have created a new hit show for the gang at Capone’s to perform nightly. With loads of comedy, action and audience participation, the stage is set for plenty of swell memories to be made. If you’ve attended the speakeasy before, become a repeat offender, and check out the new show. 25 years is a long time to wait for an order to be fulfilled, but it has been, and it’s the cat’s meow. A perfect order for ‘the family’ – pleasing all ages. Capone’s Dinner & Show is located at 4740 W. Irlo Bronson Memorial Highway (Hwy. 192), Kissimmee, FL 34746 Reservations for year-round nightly shows can be made online and are deeply discounted. Tickets include parking, unlimited dinner buffet and drinks (including alcoholic beverages), the hilarious show and a chance to win prizes. A limited number of VIP tickets are offered nightly. For information and reservations, phone 407-397-2378 or online at www.alcapones.com. Email info@alcapones.com. Tapa Toro Tapas Bar & Paella Pit is inspired by the culture and tradition of authentic Spanish cuisine. It promises a dining experience unlike any other. 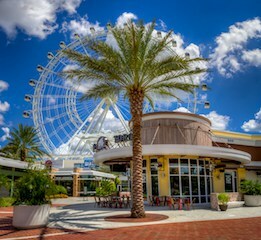 Husband-and-wife duo, Vassilis and Katerina Coumbaros, are thrilled to announce Tapas Before Take-Off, an exciting combination of a three course prix fixe meal at their restaurant followed by a ride on one of Orlando’s most popular tourist attractions, The Orlando Eye. 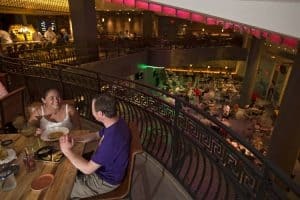 Tapa Toro Tapas Bar & Paella Pit is located at I-Drive 360 under the shining lights of the Orlando Eye and is literally just steps away from the attraction. Come for a one-of-a-kind dining experience and stay for an aerial view of all of Orlando. It is a must-do for tourists and residents alike! 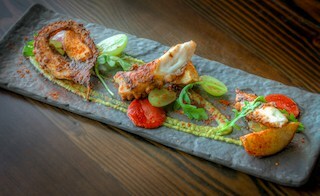 Tapas Before Take-Off is just $49.95/person including tax & gratuity. The price includes a three-course prix fixe menu, house drink, and a ticket to ride the Orlando Eye. Please make a reservation so that the restaurant knows that you’re coming and your spot is reserved. View the menu here for Tapas Before Take Off. Make a reservation for Tapas Before Take Off. Arrive just before dusk to have dinner and ride the Orlando Eye as the sunsets and see International Drive lit up from above! 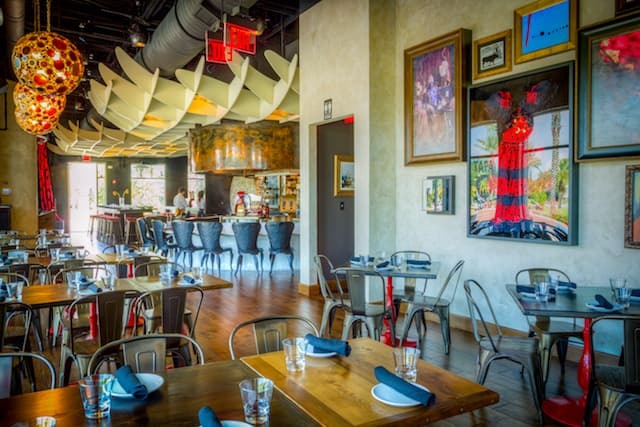 Located at I-Drive 360, Tapa Toro features tapas-style dining, a full-service bar and Flamenco dancing. The restaurant leads with a 12-seat paella pit serving up family-style paella, a traditional Spanish dish made of rice, vegetables, and meat or seafood. At Tapa Toro you can experience a night in Spain without ever having to leave Central Florida. Executive Chef Wendy Lopez, a native of Michoacan, Mexico, began cooking at a young age while working in her family’s restaurant. After formal training at Le Cordon Bleu College in Orlando, she began her professional career at the Isleworth Golf and Country Club in Windermere. She went on to become sous chef under Certified Master Chef Russell Scott. She has aided in the development of a unique menu featuring a robust selection of hot and cold tapas, paella variations and desserts. Using only the freshest imported ingredients, Chef Lopez combines traditional Spanish elements to create an authentic taste experience for people in Orlando. Just in case the communal seating in the bar or family-style paella pit don’t provide enough entertainment for your dining experience, every evening at Tapa Toro features flamenco dancing, bringing the sights and sounds of Spain right to your table. Take your meal to the next level by reserving the 12-seat paella pit for an up-close-and-personal experience with our Chef Lopez. Whether you are coming in for a private family dinner or a celebration with friends, a night at Tapa Toro is sure to ignite your senses. Tapas Before Take Off is happening for a limited time so make your reservation today and experience the most flavorful and festive combination of dining and entertainment on International Drive.